I want someone to lay with me. Run their hands down the sides of my mind. brush against the fragile bones of my soul. I want to be addicted. searching for a way to pay for my next moment, of euphoria. I want to feel needed. before I jump before I let go. Because I ache for more than the surface. and broken hotel rooms.I want to feel real. 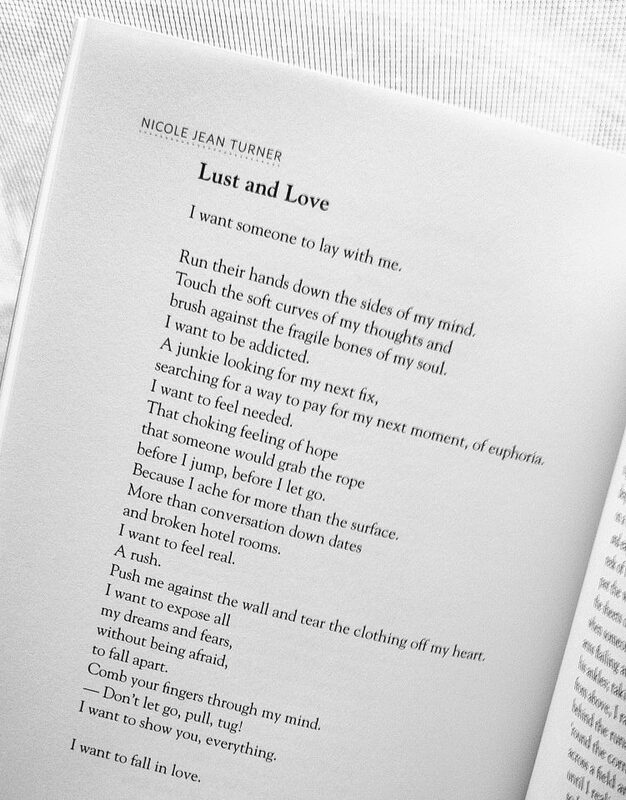 Push me against the wall and tear the clothing off my heart. Comb your fingers through my mind. — Don’t let go, pull, tug! I want to show you, everything.